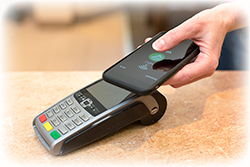 American Community Bank is pleased to offer Apple Pay! Apple Pay is a simple, secure way to turn your Apple phone into a convenient new way to pay. Complete a few simple steps to register your American Community Bank debit card with Apple Pay. You can then complete purchases at equipped terminals at participating merchants with a simple "scan" of your phone. You can also complete purchases with an Apple Pay button through participating websites and Apps. Your fingerprint verifies your identity. Best of all, your debit card data is not stored on your phone. It's simple. 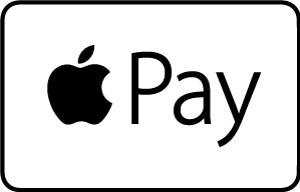 Just visit www.apple.com/apple-pay to learn how to link your debit card to your iPhone 6 or newer (includes iPhone 6s, iPhone 6 Plus, and i Phone 6s Plus; and also includes the Apple Watch, iPad Pro, iPad Air 2, iPad Mini 3, or iPad Mini 4). Contact the bank with any other questions.